On October 17, 2018, the Utah State Senate confirmed Vickie Walker, founder and executive director of Circle The Wagons, to the Crime Victim Reparations and Assistance Board. She replaces Loydene Berg as a victim of criminally injurious conduct member for a 3 1/2 year term ending on April 15, 2022. We were very excited that Circle the Wagons was featured in People Magazine's online "Heroes Among Us" column. View the story online and see the interview video below. 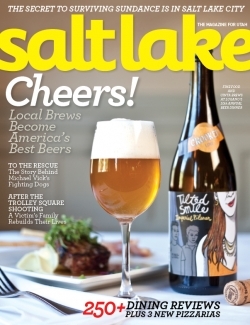 Salt Lake Magazine's Jeremy Pugh covered Vickie and her son, A.J., four years after the Trolley Square shooting in the fall 2012 issue. 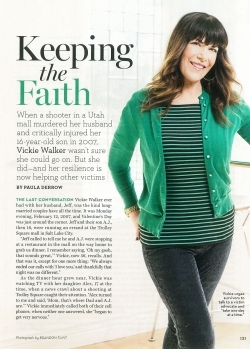 Vickie Walker: Turning Tragedy into "Cans of Comfort"
Published in the Wasatch Women January 2011 Issue, Carl Baumeister wrote about Vickie's efforts to learn from her traumatic loss and turn it into a triumph by helping others.